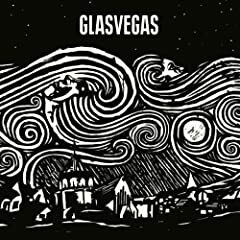 Scotland's Glasvegas finally releases its self-titled debut album stateside tomorrow after garnering rave reviews in the UK. The album appeared on may "best of 2008" music lists, and seems destined to dominate 2009's lists as well. My shopping list is pretty short, dominated by the vinyl editions of Animal Collective's Merriweather Post Pavilion, Hacienda's Loud Is the Night, and Starflyer 59's Dial M.
The Gourds' Haymaker! is the lone other new disc I have heard that I can wholly recommend from this week's music releases, along with the reissue of Chatham County Line's debut self-titled album.